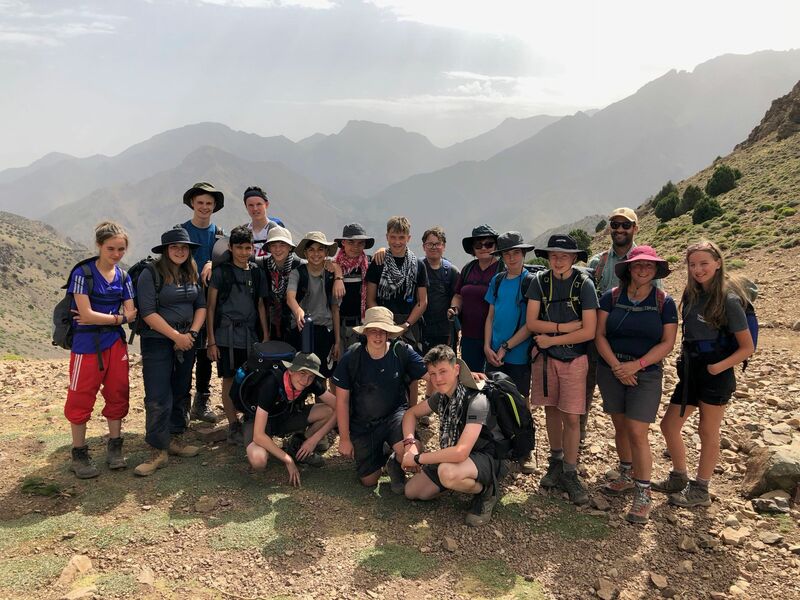 Just before the summer holidays, 16 Year 9s (Team 1) and 16 Year 10s and 11s (Team 2) travelled to Morocco for two weeks for their World Challenge expedition. It was an amazing trip and an experience the students will never forget. The two teams built the foundations for a gymnasium for a local school or toilet block for a local community, made friends and played games with local people, ate Tajine and other local foods, swam in the sea, climbed Toukbal (4100m! ), and went shopping in the souks. The two weeks were jam packed full of ‘first-times’, making new school friends and creating lifelong memories, but our best highlight was seeing the students change to be independent young people and learn more about themselves. All the students impressed us so much over the two weeks. They worked incredibly hard, dealt with some really tough times and supported each other right up until the end. We are incredibly proud of what they achieved and how they represented the school. World Challenge allowed me to go out of my comfort zone and to do things that I had never dreamt of doing. Whilst in Morocco, I decided to go out into the town square at night, with a member of staff and other challengers. Although the square was stunning, with beautiful lights and so many different things happening, it was very daunting. It was never something I would have thought of doing but I gave it a try and it was one of the best experiences of my life. Reaching the summit of Toubkal was also the most challenging task I have ever completed. Everyone, for the whole expedition, worked as a team whether that was climbing Toubkal and keeping the morale high or working at the project in the heat. It made World Challenge even more enjoyable. I also made friends that I wouldn’t have ever spoken to at school and some of them surprised me in the way that they acted at certain times. They were selfless and caring which I wouldn’t have guessed by the way that they acted at school! Whilst at the project we also made friends with a boy called Mohammed. We lived in his house whilst we were there, and we are going to fly him to the UK so that he can see what life is like for us, as he showed us what life was like for him.